A Reflection on my Apple Distinguished Educator 2015 Application | Edtech, Go! I am so happy to finally share my reflection on ADE2015. My summer break was a very busy one – enjoying life with my family and diving into professional development/ ed tech seminar workshops for teachers. Last month, amidst the scorching heat of summer sun in Manila, I received the greatest and most exciting email yet this year. The sweet “yes!” of Apple to my ADE 2015 application. I had to read the message so many times before I finally shared the incredible news to my family and closest friends and colleagues. It was my first time to apply as an ADE. I first heard about the ADE from my ADE colleagues in Xavier School. My co-teachers, Galvin and Jessica (ADE 2013) are the lead persons in our school’s 1:1 program. From that point on, I wondered on what I would gain if I join the ADE community. That moment also marked a personal challenge to use more of Apple tech in my class and to let my students learn effectively and create wonderful products that showcase the knowledge and skills that they would learn in my class. What I love about the application is the process itself. The application process gave me the opportunity to look back and reflect on what I have been doing in line with integrating ed tech in class. 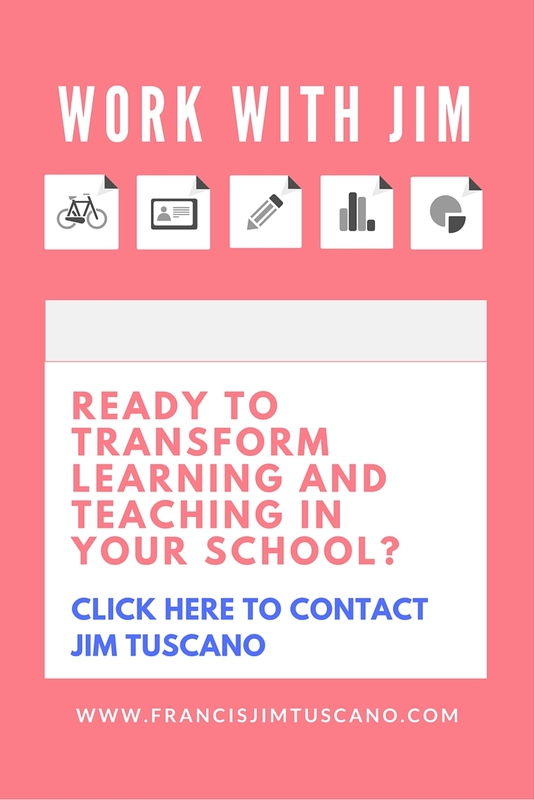 I have been a teacher for almost 7 years now and an ed tech integrator for almost 5 years already. As I went back to the pictures and videos of my students learning with tech tools, I clearly saw how I personally improved as a teacher, in areas such as classroom management, lesson planning, motivating students, and integrating ed tech among others. Integrating tech tools in my Religious Education (Christian Life Education) class has been a great challenge. I love gadgets and tech tools but using them in class, in a subject that is not mainstream, is quite difficult. The ADE application process gave me the opportunity to understand once more that as a Rel Ed teacher, the tech tools are not ends, but means to a greater mission – that is, to teach the students what it means to become competent but person-for-others members of the community and in my case, the Church. For these moments of reflection, I am grateful. Another aspect of the ADE application process that drove me crazy was the time to wait for Apple’s decision. Accepted or rejected. What I amazed me during these waiting period was on how ADE applicants shared their views, practices, and works in using Apple tech in Twitter. Just reading the tweets of ADE applicants gave my wonderful insights on integrating ed tech in class. I was able to learn from the best practices of other teachers and ed tech integrators. In short, there was already learning and networking at that time. In the end, I am really grateful and honored to be part of this incredible group of educators. Fellow ADEs, see you in Singapore for the ADE 2015 Asia-Pacific Institute on August! This entry was posted in iBook, iPad and Mac, One2One, Teacher Reflection and tagged 1:1, ade, apple, apple distinguished educator, edtech. Bookmark the permalink.